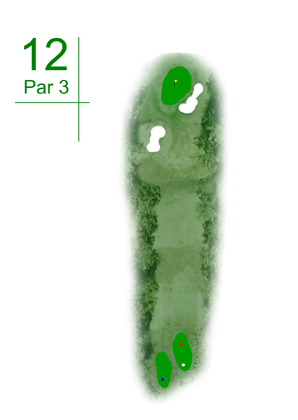 A long par 3 that plays its true length. Most of the trouble is short with bunkers and a gully and the front of the green is soft and slopes uphill. Pick your club and take one longer and try to fly it to the green. 3 on this hole is a good score.